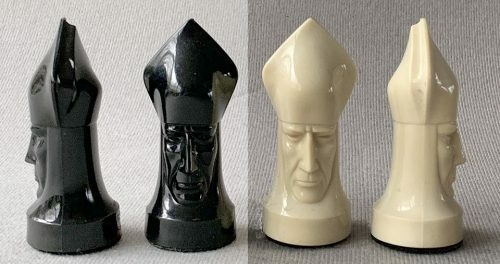 Ganine Sculptured Gothic Chess Pieces. Offered here are the Peter Ganine Sculptured Gothic Chess pieces, Salon Edition. 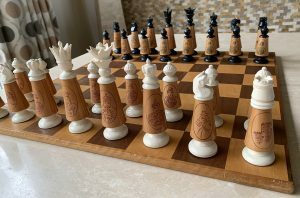 The glossy Black and Ivory plastic chessmen are weighted and rest atop felt cushions. The King height is 3.6″ with a 1.2″ diameter base. 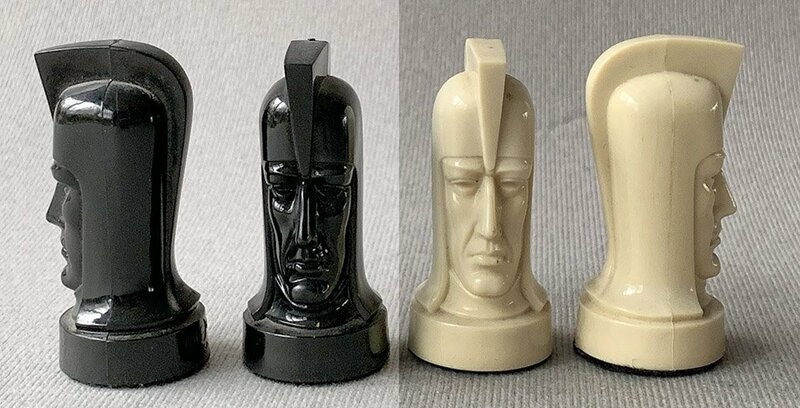 The quality of the Ganine Sculptured Gothic Chess Pieces are excellent and the castings are seamless. 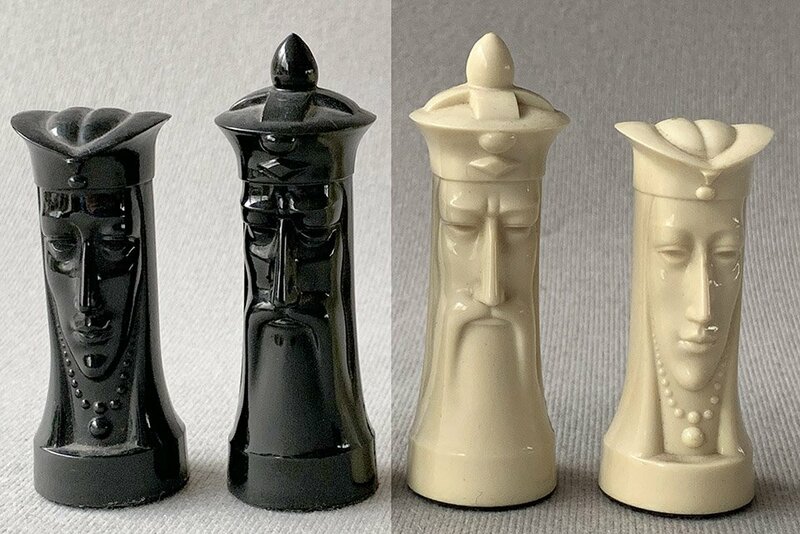 The chessmen lack their original cardboard chessboard and display box. The “Gothic” set came in two versions: the Salon Edition and the Tournament Edition. The Salon Edition was the smaller of the two. The Tournament Edition is larger with the King standing 4.5″ tall. The chessmen were manufactured by the Pacific Game Company, North Hollywood, California. The pieces are stamped “1957” and are Copyright, 1957 by Peter Ganine. Peter Ganine (October 11, 1900 – August 11, 1974) was a Russian-American sculptor best known for his work in ceramics and his chess sets. He began his art studies in Russia. He spent five years as a trader in the Belgian Congo before coming to the US in 1931, on a scholarship to Corcoran Gallery of Art in Washington, D.C. He settled in Hollywood in 1932, where he lived until his death.